Shweta Jhaveri is one of the India's finest classical vocalists and international performers, A resident of the Bay Area for many years, Shweta divides her time between her home state of Gujarat and Marin County. 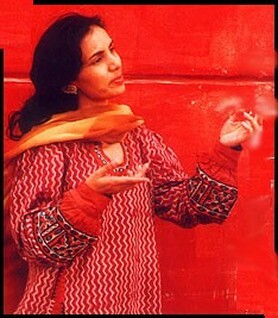 It is with tremendous honor that we welcome Shweta to MYoga for this rare 4-week training in classical Indian singing. Born & raised in India, Shweta Jhaveri performs the north Indian classical forms Khayal, Thumri, Tappa, Tarana, Bhajans, as well as experimentations with other world musics and western musicians. In addition, Shweta is also a composer & song-writer in Hindi and English languages. Shweta teaches delivers her masterful teachings with a light-heartedness and warmth that puts the most novice beginner at ease. Everyone welcome, no experience necessary. The Sunday Sound Sadhana series is a weekly coming together to explore the many ways in which sound, song and silence are used throughout the yoga tradition as a path toward liberation. From the hear-opening kirtans of bhakti yoga, to the philosophical lessons evoked via Vedic mantra to the yogic roots of Indian classical music, Sunday nights are devoted to experiencing the range of possibilities of yogic sound. $72 for Four-Week Session. $22 drop-in. Please do not park in the city garage on La Salle Ave. It closes at 6pm on Sundays and your vehicle will be locked in overnight.